FLASHBACK FRIDAYS: WEEK 22 (Crave by for KING & COUNTRY)- Church isn’t a building- it’s the people; so why do we act as if our Christian life is only limited to Sunday mornings, during ‘church’? Over the past few weeks while Mum has been recovering from her fall and subsequent operation (which I detailed in a blog about suffering a few weeks ago! ); I have noticed something that I reckon needs to be briefly talked about. Something that we as a people are prone to fall into the trap of- and it’s the lie that Church can only happen on Sunday, or Church only deserves to occur on Sundays. And that something was highlighted by our church family. Though we haven’t been at church for a while (many years in fact since we’ve regularly gone, since we’ve bought the café! ); our church family still felt that we were connected enough to the body enough for them to deliver meals to us during the initial stages of Mum’s healing. The pastor and the pastor’s wife used their initiative, created a website app thing (take them a meal) where people could sign up and put their names to dates, write down dishes, and do tangible things- be the hands and feet of Jesus that way and have fellowship with us. Now not every single person from our church came to visit, or cooked, but I reckon that’s beside the point. What mattered was that in our time of need, we were being thought of, we were being appreciated, and we are being loved, no matter if we had religiously been to church every week, or in our case had ‘backslidden’ and become an irregular member. Though Mum didn’t really have high hopes for our church family in showing us God’s love, we were pleasantly surprised overall at the amount of love we were shown. And this brings me to what I have noticed. That sometimes the most real parts of church occur outside the church building; and may even involve people not even attending church. You see, you and I and a bunch of others could meet regularly in the park across the road, and while one person in the group may be a new-ish believer, or even a non-believer, I could still share the gospel and what’s being going on in my life, and we all might have a healthy discussion, a dialogue, then some would agree to disagree, and then we all can leave each meeting with God speaking to each one of us, allowing us to be better humans than before. And that event that I just described- a non-Christian meeting with other Christians and God moving in their midst- I believe that that’s one part of church. It’s controversial, and some may argue that church cannot involve non-believers as this means that if a non-Christian is in your midst you need to be ‘politically correct’ in your discussions for fear of discrimination and ostracisation. Yet this whole definition of what it means to be a part of a church family, recently was upended, and it really made me stop and ponder. It made me stop to conclude that church isn’t a building. It isn’t 2 hours on a Sunday when we’re faking being ‘holy’ and then going about our ‘normal lives’ from Monday through to Saturday. Church I believe is the people. Now I don’t know about you but I’m not that big on official definitions. Because Wikpedia and google can be altered by basically anyone, and that means that the validity on those kind of websites are somewhat…invalid or less reliable? I don’t know. I didn’t look up ‘church’ on google, nor will I do that in the future for the purposes of this blog. But I do know that to me, church is something that extends beyond the four walls of the chapel or the sanctuary or whatever building you all meet in and travels amongst the discussions with your friends who do not believe yet. It goes beyond how we act on a Sunday and permeates into our work and home ‘lives’. In the early days of Christendom back when Jesus’ disciples met; they met in houses, wherever they could I guess. The concept of church being a building was unheard of back then, so why have we right now made it so that we have our church life and the rest of our life? Why is it that we have compartmentalised so many aspects of our Christian walk, when in my opinion, because Jesus has done a wonderful thing for us in that He has saved us from our sin and made us whole; we should integrate Jesus into everything we do, simply because of the fact that we can’t help but be changed by the One who has conquered the grave? Personally, I reckon life isn’t meant to be lived in boxes. A box for work, a box for home, a box for church- not ever mingling together and us making sure that they do not ever intersect…what kind of life is that? Making sure you are acting ‘cool’ and ‘hip’ in front of your non-Christian friends, while you are singing God’s praises on Sundays? Being an unwitting chameleon and not even acting like God has changed us from the inside out, even to our non-Christian friends who may shun and desert us if we do act on fire for Jesus- that must be exhausting, keeping up with ‘which version of myself should I act like today?’! Well I reckon that for so long we as humans have equated church with the building, and church with Sunday mornings, that it seems to be foreign to some people for any other permutation. Like for example myself, Jon and my parents- we have church at home, we have church while watching Louie Giglio sermons online, we have church while listening to K-Love, Air 1 and Spotify Christian music playlists, and we have church while meeting up with Christian friends and sharing what’s been happening in our week. For me, there’s so much more than ‘the building’ and once we all get that, then I reckon we can integrate all aspects of our Christian walk with other parts of our lives, so that in the end- there is no ‘this is this part of my life’, just ‘this is my life’. There’s an album that I have heard many a time for a few years now, that I have grown to appreciate the more and more I have discovered how much lyrical gold and genius within the tracks. It’s an album that recently I have found to remind me that most of the time God’s love is shown to non-believers outside of the church, and it’s not because church music is horrible- not by any means- it’s just that because of it’s overtness, lyrically it wouldn’t connect with non-believers, no matter how true and authentic the lyrics are. 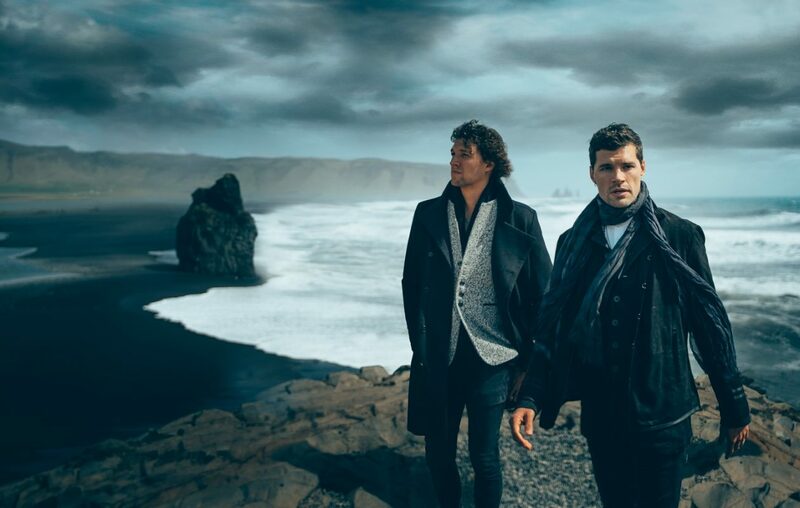 While for KING & COUNTRY are comprised of brothers Luke and Joel, their sibling connection with Christian pop/worship Aussie artist Rebecca St. James may make you think that these guys are heavily set in the Christian music industry. However, that is not the case- they have a foot in both the mainstream and Christian industries- and it is their unashamed faith, and unwavering sense of being authentic in all aspects of their lives that has led me to declare that the duo’s best is yet to come. I’m actually listening to a pre-release copy of Burn The Ships right now, and let me tell you- that album is 5/5, and head and shoulders above all that I have heard this year. 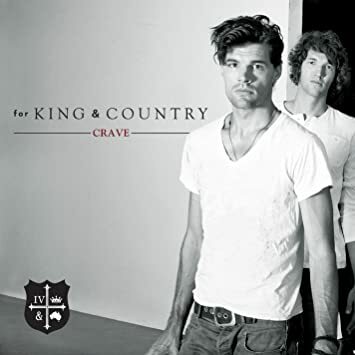 But it is really the band’s 2012 debut album Crave that has wowed me time and time again, showing me that sometimes the most impacting songs are the ones that covertly mention Jesus, and are subtly showing us His love. In a world full of distractions such as social media, and overwhelming material possessions and media that demand our attention, perhaps shouting the message of Jesus in people’s faces isn’t the way to go. A more softly-softly approach is needed in my opinion and Crave was the first album I heard (from start to finish) that contained covert lyrics- and this made me realise that for KING & COUNTRY were being the church to others through their music- even if the ‘congregation of non-believers’ knew it or not. Especially in their song “The Proof Of Your Love”, we are met with a band that was hungry for change and desperate to alter the status quo. Not just through ‘preaching’ (because some sobgs are indeed overt! ), but through the authentic sharing of their lives, and God working through that. While the Great Commission encourages us to go out to the world and preach the gospel to every creature (like I mentioned was our mission at the end of last post! ); what it doesn’t say is that it needs to be done in ‘church’. More often than not transformation of people occurs in everyday life away from the church building- and I am positive that once you listen to Crave and the rest of the duo’s discography, and catch their heart for what they’re doing; you’ll realise too of the fact that the church isn’t the building. It’s us, showing us God’s love through our words and actions. The world will know Jesus by our love, through the fruits of the Spirit, and simply through our interactions with people. We are different, we believe in a God who saves and delivers, thus our actions and words reflect this belief. Naturally others will eventually catch on. But if we do not do this in love…well just read 1 Corinthians 13 (what “Proof Of Your Love” was based on!) and you’ll definitely find out! Loving others can look like acts of kindness from within the church to another church member, but if that’s all we limit church to, well then we aren’t doing church in my opinion! Is there something in your life that is keeping you from doing church with believers away from the ‘church building’? If so, what is it and how can you make a change in order to meet with believers outside of Sundays and spread the gospel to those around you, even if it isn’t classified as ‘church time’? Is your life the proof of God’s love? Why/why not? Til next time, enjoy your week guys!